Good afternoon everyone! I hope you are all having a great Wednesday! I don’t know about you guys, I am ready for Fall. This past weekend we had a nice cold front to move in that equaled out to the perfect fall weekend but today is just typical Alabama weather, warm and muggy. Today I wanted it to feel more Fall like so I have a stunning polish from Mentality that is just perfect for the upcoming weather. 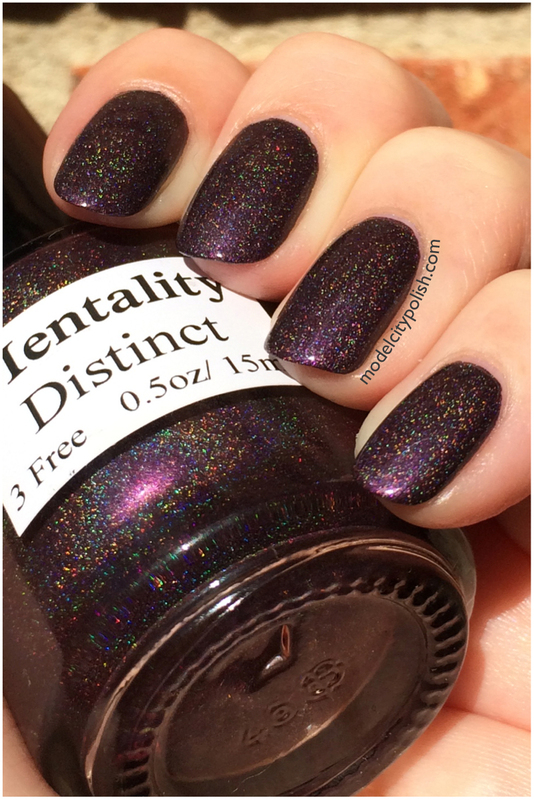 Distinct is a rich burgundy holographic blend with a plum purple shimmer. Application was flawless and the color was stunning. I took photos outdoors to catch the holographic shimmer but instead caught the purple shift. 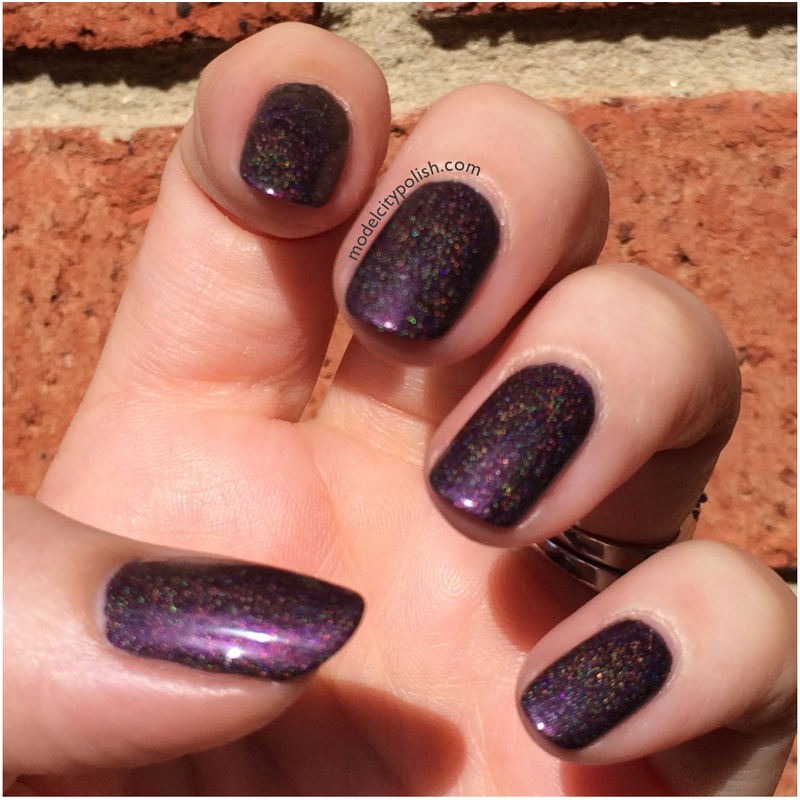 One of the photos is a little out of focus to show that holo beauty buried inside. In my photos I am wearing just two coats of Distinct.